SecureVideo is the leading provider of HIPAA-compliant, workflow-based videoconferencing solutions in North America. For the best quality experience, we recommend having at least 1.5 megabytes per second (Mbps) upload and download speed, per person you will be connecting to. If you are unsure of your connection's bandwidth, you can conduct a speed test using a third-party website such as Compari.tech/speed (click on "Start" to perform a free speed test. High quality video feeds one-way usually require 400 to 600 kilobytes per second (Kbps), so for the best quality two-person session, we recommend having at least 1.5 megabyte per second (Mbps) upload and download speed. Standard quality video feeds usually require 200 to 400 Kbps; if both participants are on Standard, we would recommend at least 1 Mbps. Note: these estimates assume two-person sessions where screens and files are not being shared (as that requires additional bandwidth). How can I diagnose my equipment and connection? How do I adjust my audio and video settings? If you have (or your participant has) a lower internet capacity or older equipment, we recommend decreasing your (or their) starting video resolution. 1. Click on the profile icon in the upper right hand corner and select your name from the drop-down menu. 2. From the "Video Resolution" menu, select "Standard" or (if a very poor connection or equipment) select "Low". 3. 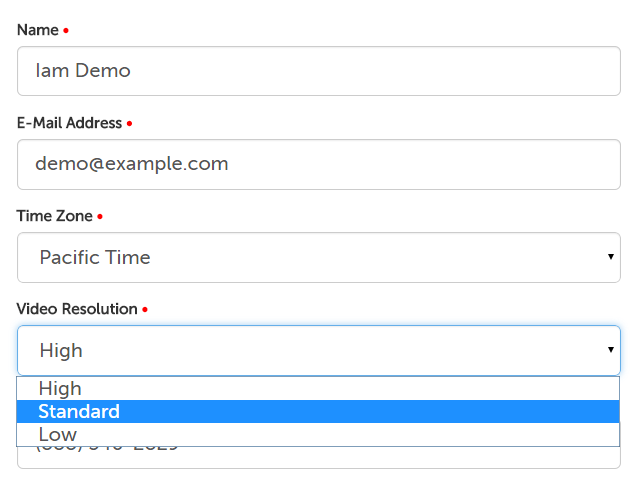 Use the "Save" button at the bottom of the page to save your settings. 1. 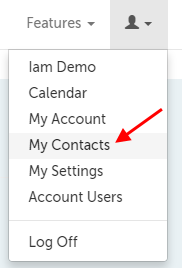 Click on the profile icon in the upper right hand corner and select "My Contacts" from the drop-down menu. 2. Click on the "Edit" button next to the contact you wish to edit. 3.. From the "Video Resolution" drop down menu, select "Standard" or (if a very slow connection or equipment) select "Low". 3. 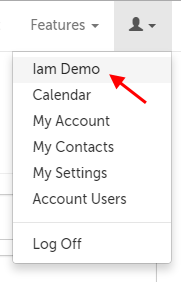 Use the "Save" button at the bottom of the page to save the settings for this contact. This article was last reviewed by our Support team on February 23, 2015. Are you sure you would like to perform the requested action on ?